Serving Southern California and beyond, including destination events! These are trusted vendors that I have worked with in the past and personally recommend. Please mention my referral when patronizing these highly talented businesses. LA Selection -- 8656 Lindley Ave., Northridge, CA. Owner Kamal has a huge selection of bridal clothing and accessories at very reasonable prices. She also runs an adjacent salon, where she offers expert eyebrow threading, and where I take occasional walk-in mehndi appointments. Always contact me directly for availability if interested in mehndi services. Surely Beautiful Makeup Artistry and Hair Design -- Shirley is a highly accomplished makeup and hair artist, who has been trained by some of the most well-known, highly celebrated artists in the field, and is a star in her own right. In addition to her expert makeup and hair services, she also offers jewelry placement and dupatta setting. She's also very reasonably priced, and super sweet! 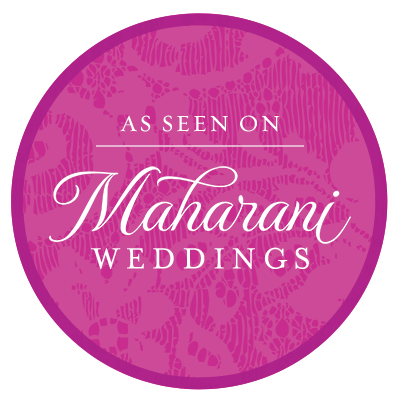 Martin V. Photography -- Martin is super creative and captures visually stunning images that will preserve your special day with panache and glamour! You seriously don't even need to personally know the subjects in his photos to appreciate the beauty of the shots. He's a diamond in the rough, and you should totally book him before he gets too famous! Global Photography (Yogi Patel) -- Yogi is an outstanding photographer, who I have personally worked with many times. He is talented, comes up with unique shots, and demonstrates a high level of professionalism. Together with his videographer wife, April of Robles Video, you have a one-stop shop of photographic and cinematic awesomeness! Drea V. Makeup -- Drea is a highly skilled professional who does all types of bridal looks, and goes the extra mile! Seriously, she'll like move your furniture and stuff if you need her to! She is adept at South Asian bridal looks, and is just a sweetheart! Check her out! Bindis and Baubles -- Rachna offers absolutely GORGEOUS handmade bindis, hair accessories, and bangles for weddings and all occasions. She has a lot of unique, one-of-a-kind items. Highly recommended! JSK Photography -- Jas and Mandy are a husband-and-wife photography team dynamo, specializing in weddings and creative portraits. They are amazingly creative, and so much fun to be around! Can you say "couple goals"? They are based in Modesto, the heart of central California. Roop Bridal -- Happy is based in Turlock, CA, and specializes in bridal hair and makeup services. She also offers threading, facials and massage. Glitz and Glamour Studio -- an amazing bridal makeup and hair artist trained by top level glam influencers. I've shared mutual brides with her, and she never disappoints! Sensitive Planet -- Makers of my absolute favorite, completely natural fragrance, Scent of Samadhi. I am utterly addicted to this scent, and it is one of the few fragrances that doesn't trigger my migraines, since there are no synthetic additives or preservatives. They also sell other spiritual items on the site. Check it out! all site content copyright 2014-2017 divya henna. all rights reserved.